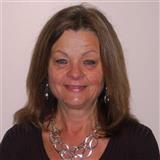 Mary has been servicing the real estate needs of the people in Adams & York Counties for over 16 years. Mary and her husband, Don, reside in Bonneauville. They are the proud parents of 3 children and 6 wonderful grandchildren. Mary is look forward to helping buyers and sellers realize their dreams for at least another 16 years.